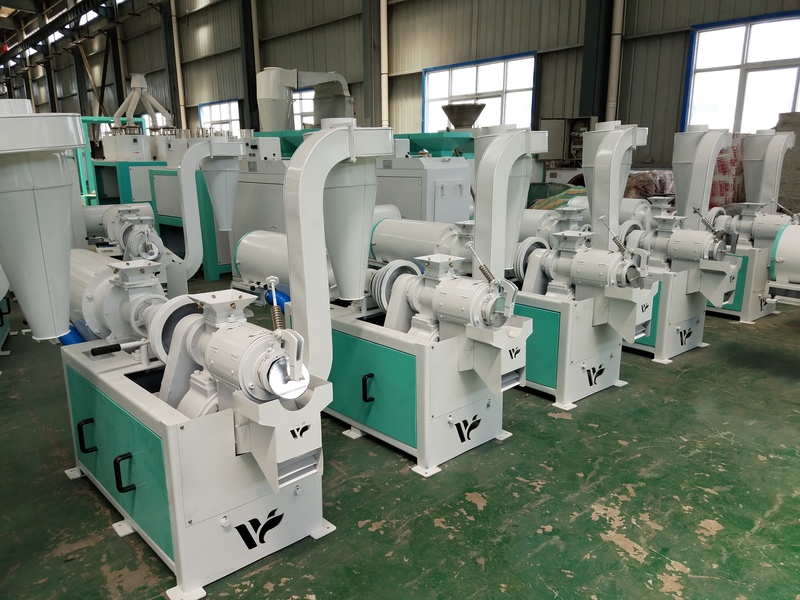 YTZSF28-5B Corn Peeling and Milling Machine is suitable for small size of food processing factories in corn hulling, grits and flour making, wheat hulling and millet polishing. It is the core equipment for a corn processing enterprise to produce corn grits and flour. This Corn Peeling & Milling Machine is our company's latest designed qualitative machine with extensive collection of users, and also replacement corn peeling milling machine on the market currently. 1. YTZSF28-5B Corn Peeling and Milling Machine consists of corn peeling, grits and flour milling, wheat hulling and millet polishing. 2. 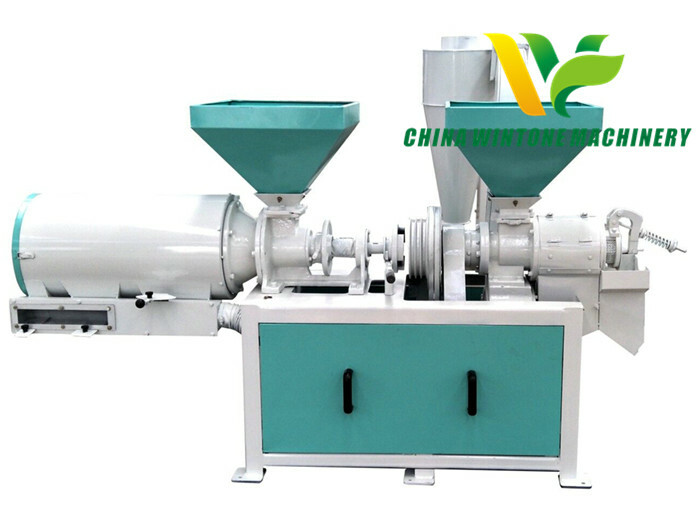 The clean raw grain is conveyed to the feeding inlet for peeling, degermination and black impurities removing and can be processed into corn kernels once. 3. 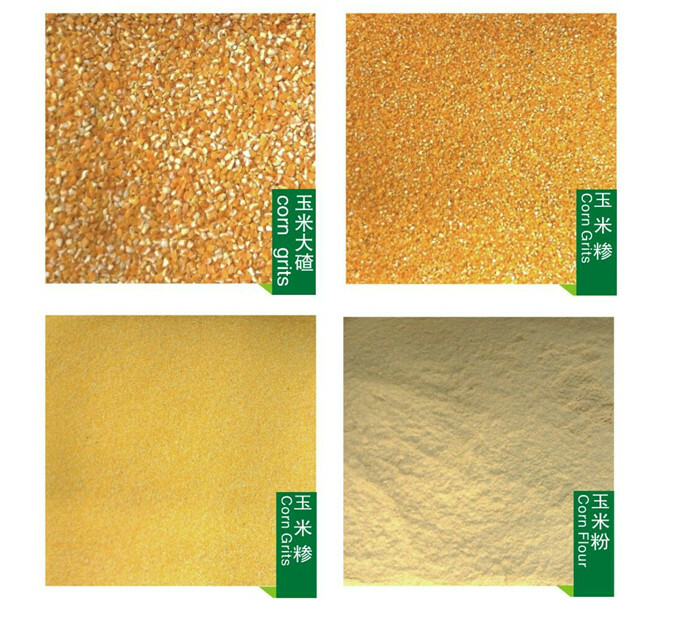 After smashing and mixture grading, the machine can produce three end products: medium grits, small grits and corn flour. Inside of the machine, there is highly efficient air draft chamber for collecting the corn skin and further clean the micro powder and micro impurities in the corn grits. Spare parts: grinding core, roller, peeling blade, peeling sieve, triangular belt, hairbrush. 1. This machine set adopts dry peeling technology. The products don’t touch water. Compared with wet peeling technology, this processing method is more sanitary. 2. This kind of machine is internally installed efficient winnowing and dust removal fan, which can remove and collect corn skin and the impurities and dust from grits processing, then eliminate and collect these skins and impurities by cyclone. 4. The machine is unique and innovative, multi-functional, energy saving, low broken rate, high capacity, high yield.